International wire transfer is a common method of providing cross-border payment for commissions, contracts or expenses to global payees. To receive the global money transfer, the recipient must have a bank account, wait from several hours to several days for transfer completion, and pay fees for each transfer. Cross-border wire transfer fees can reach $20-$40 per transfer. Online businesses are increasing relationships with contractors, affiliates and freelancers in countries such as Brazil, Russia, India and China, where international wire transfers take even longer and have substantially higher fees. Matrix Card Solutions international prepaid card solution provides a fast, less expensive and convenient alternative. The funds can be available on the prepaid card immediately with a minimal load fee. The recipient may use the prepaid MasterCard� card everywhere Debit MasterCard is accepted at Point-of-Sale or online, free of charge, and may withdraw funds in local currency at an ATM for a nominal charge. The turn-key, safe, efficient and cost-savings online payment solution is a great alternative for any web-based business requiring mass payouts. For further information and to receive a customized offer, please contact matrixcardsolutions at ltaylor@matrixcardsolutions.com. e businesses are increasing relationships with contractors, mlms, affiliates and freelancers in countries such as Brazil, Russia, India and China, where international wire transfers take even longer and have substantially higher fees. 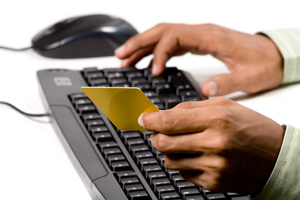 Matrixcardsolutions international prepaid card solution provides a fast, less expensive and convenient alternative. The funds can be available on the prepaid card immediately with a minimal load fee. The recipient may use the prepaid MasterCard� card everywhere Debit MasterCard is accepted at Point-of-Sale or online, free of charge, and may withdraw funds in local currency at an ATM for a nominal charge.